Mobile marketing is evolving every day as new advances and apps continually change the mobile landscape. This can make it extremely challenging for marketers to stay on top of both the trends and the competition. To provide insight on the most important factors affecting the future of mobile marketing, MarketingProfs.com listed the following four trends to expect this year. 1. Retargeting and Real-Time Bidding Get Better – Targeting is essential to every mobile marketing effort and 2013 will usher in the development of much more sophisticated retargeting technology. These advanced systems will even be able to target only inactive users to help marketers reengage them. Real-time bidding will also progress to enhance the quality of media buys, increase campaign ROI, and allow every online ad impression to be instantly evaluated. 2. Tracking Takes Top Priority – Advertisers have been anxiously awaiting more comprehensive campaign tracking, optimization and reporting techniques for years. 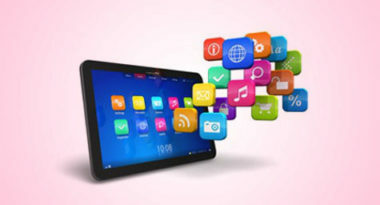 Fortunately, it looks like their wait will be over in 2013 with the development of more advanced systems that help marketers make their mobile campaigns as specific and successful as possible. 3. Big Data Dominates – The widespread corporate acceptance of Big Data today has led mobile marketers to finally realize its value. As a result, expect more and more marketers to start using Big Data to optimize their campaigns for maximum performance. In addition, new technologies are using Big Data for in-depth consumer research and campaign tracking to help marketers optimize their efforts and increase overall ROI. 4. Mobile Expands to Everyone – As competition makes mobile devices increasingly accessible and affordable to a wider variety of audiences, the demographics of the mobile market will undergo major changes in 2013 by expanding to younger and less affluent consumers. This will open up an abundance of opportunities to develop new mobile strategies geared to these markets. Also, the debut of new tablets will lead to a sharp rise in tablet ownership by the end of 2013. Mobile marketing has been evolving faster than ever in recent years and 2013 promises to bring new advances, applications and audiences for this thriving technology. By anticipating these four major mobile trends, marketers can take advantage of the modern mobile landscape and target their campaigns to reach contemporary consumers. Leverage the latest mobile technology and trends to achieve your business goals. Contact MDG Advertising today at 561-338-7797, or visit mdgadvertising.com. MDG Advertising is a full-service advertising agency and one of Florida’s top creative ad agencies. With offices in Boca Raton, FL and New York, NY, MDG’s core capabilities include branding, logo design, digital marketing, print advertising, mobile marketing, email marketing, media planning and buying, TV and radio, outdoor, newspaper, video marketing, Web design and development, content marketing, mobile marketing, social media marketing, and SEO. To stay on top of the latest trends in marketing and advertising, contact MDG Advertising today at 561-338-7797. Click on “Mobile Messaging Apps Attract Youth and Offer Alternative Ways to Share” if you’d like to learn more about the momentum of mobile app marketing.